Bragi has collaborated with Mimi Hearing Technologies to make The Dash product line even smarter – and personalised. The Dash series including the Dash Pro, the one and only ear computer in the market – with 27 sensors and its own operating system, now offers a truly personal music experience. Using the Mimi Defined™ technology, an intelligent hearing assessment embedded in the Bragi App, users can now create their personal hearing profile. The music processing technology enables sounds replayed on Bragi devices or on devices connected to them to be dynamically adjusted to match the users individual hearing ability – music and audio input can now be heard clearly and with detail like never before. Everyone’s hearing is unique and changes over time. Unfortunately, the audio data of a recorded song or file does not change, it is static. A deteriorating hearing ability causes people to hear those static sounds differently over time – they no longer perceive sounds as they were initially recorded. In order to overcome this challenge, Bragi partnered up with Mimi Hearing Technologies and integrated the patented Mimi Defined™ algorithm, a technology that intelligently assesses a person’s hearing ability with an on-board six-minute hearing test. Based on the results of this test, audio sources or played back audio files, as well as the audio from streaming services such as Netflix and Spotify, are adjusted to be aligned with the user’s individual hearing if listened to through any product of The Dash series. Once the hearing test is completed, users can control the intensity of the Music Personalisation by Mimi Defined™ via the Bragi App – all while the audio input is continually being adapted to the user’s individual hearing ability in real time. This unique sound personalisation technology can be easily included in the daily use of earphones, even while users are tracking running, cycling or swimming, the music they listen to will be personalised. Audio transparency can be used to choose whether a user wants to hear the world around them or not and connecting to the Bragi App also allows use of the integrated 4D-Menu to start and stop music, select playlists, change activities or take and end a call. 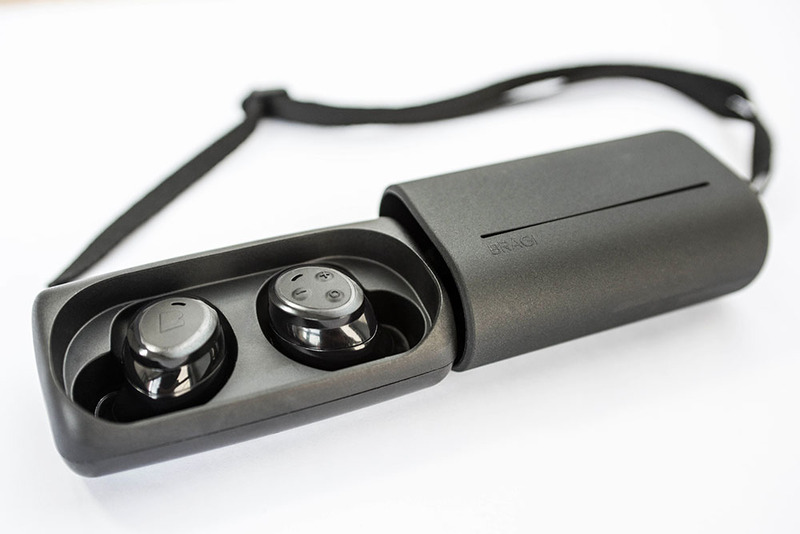 In addition to the music personalisation, the Bragi OS 3.2 update includes an improved connection procedure and a welcome tutorial. The Bragi Updater has also been upgraded, making it even easier for users to update the device. The Bragi OS 3.2 software update, compatible with The Dash, The Dash Pro and The Dash Pro tailored by Starkey, is free of cost and will need to be accompanied by an update of the free Bragi App, available for Apple iOS and Android.